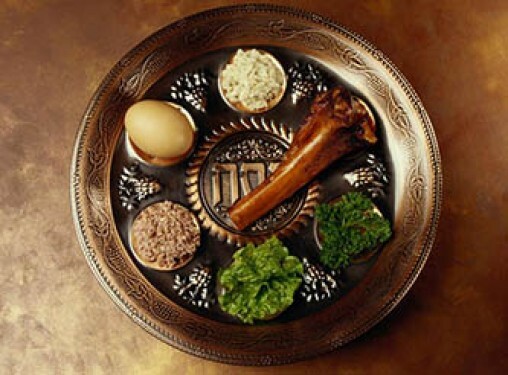 There are many opportunities to celebrate Passover in the Lehigh Valley this year. Register for one of the community seders or contact a local synagoguge to learn more about home hospitality. At Temple Covenant of Peace. Dairy vegetarian entrees will be provided. If you choose to bring anything, it should be in the Passover spirit: no leavening agents. We would appreciate main dishes, salads, kugels, fresh fruits, nuts, dried fruit, wine, grape juice, soft drinks, etc. We also need volunteers. RSVP to the temple at 610-253-2031. This is a free event, but donations would be greatly appreciated. Supported by the Jewish Federation of the Lehigh Valley and the Rosh Chodesh Women's group of Easton. Featuring Rabbi Seth and catering by Chef Eric with all the traditional favorites. Eat, drink, sing and learn together in community as we tell the age-old tale of our escape from Egypt. $25/members; $32/guests; kids 6-12: $18/members; $22/guests; under 6 - free. RSVP by Tuesday, April 9, with payment to KI, 2227 W. Chew Street, or online at kilv.org. Questions? Call the KI office at 610-435-9074. Join Rabbi Michael Singer and your Brith Sholom friends and extended family as we retell the story of the exodus from slavery to freedom. Catering by Kate McVey/Kate Works Catering Service. Please send your reservation with payment to the office no later than April 10. Traditional dinner with a vegetarian meal available upon request, please notify the office in advance. Brith Sholom member adults $40 per person (this includes non-member relatives); non-member adults $45 per person; children (ages 5-13) $18 per person; children under 5 free. Reservations accepted with payment in advance. Call 610-866-8009 to learn more. Relive the Exodus from Egypt and experience the true freedom of Pesach in an easy-to-follow family seder. $35 adult / $20 child / $100 family. RSVP to 610-351-6511 or www.chabadlehighvalley.com. At Temple Covenant of Peace. Doors open at 5:30 p.m. Led with joy and ru’ach (spirit!) by Rabbi Melody Davis and Cantor Jill Pakman and Cantor Bob Wiener, including songs and interactive fun. No one moans, “When do we eat!” All food will be gourmet kosher for Passover. If you have a favorite kosher for Passover wine, please bring it; otherwise we’re serving “Bubbie’s favorite.” $27 per adult, $10 per child. RSVP by April 12 to 610-253-2031 or drop off your check payable to Temple Covenant of Peace. Due to high demand, we cannot accept reservations after the stated deadline. There are limited seats available, and they will be offered on a first-come, first-served basis. (We will keep a cancellation list, however there are no guarantees that one will be seated once the deadline has passed.) This program has been generously supported by the Jewish Federation of the Lehigh Valley, the Easton Leadership Council and the Rabbi’s Discretionary Fund. At Muhlenberg College, Seegers Union. A community seder focused around the themes of freedom and social justice. Led by Rabbi Malkah Binah Klein. Meal is kosher for Passover, but prepared in a non-kosher kitchen. $25/person, $18/students and children. Scholarships available. RSVP by April 10 to amhaskalahdirector@gmail.com or 610-435-3775.